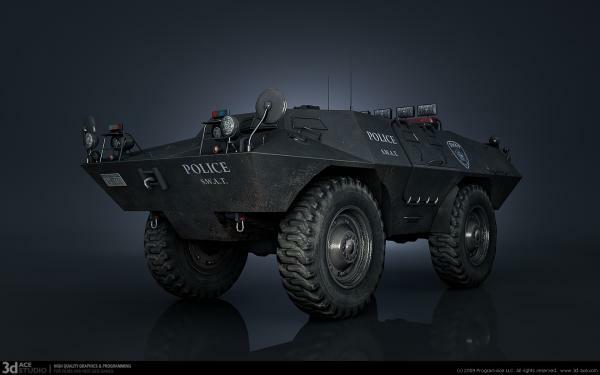 Military vehicle made for virtual military trainings simulator. Cool! Must be for big-city crime busts.